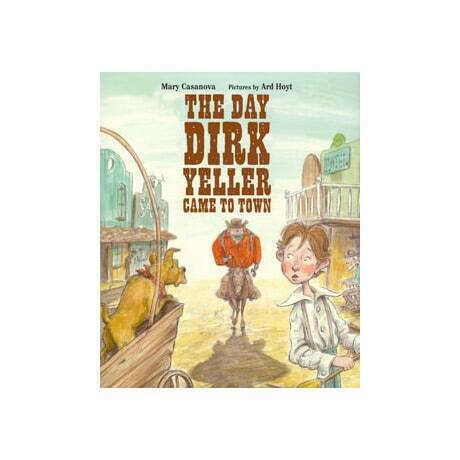 When rough-and-tough Dirk Yeller comes to town looking for something to stop his itchin' and twitchin' and jumpin' and rattlin,' no one seems able to help, in this book for readers up to 8. Sent by nervous locals from the post office to the general store, and from the trading post to the saloon, Dirk is getting impatient and more than a little angry, but Sam, who's been following Dirk all day—and who can sometimes be a little fidgety, too—knows the perfect solution. An homage to the public library, Mary Casanova's text begs to be read aloud, while Ard Hoyt's comically exaggerated, mixed media-illustrations are bustling with satirical, Old West details.